BMW has sold the entire 2014 allocation of its brand new i8 hybrid sports car, despite the model having not yet been officially launched.> The first deliveries aren't expected until next year, but this hasn't stopped eager customers placing deposits to be among the first to own the striking new performance machine, despite a list price of £100,000. "We are delighted with the interest in the car, which will stand at the heart of what BMW is about - performance and sustainability," BMW's head of marketing, Ian Robertson told Autocar. 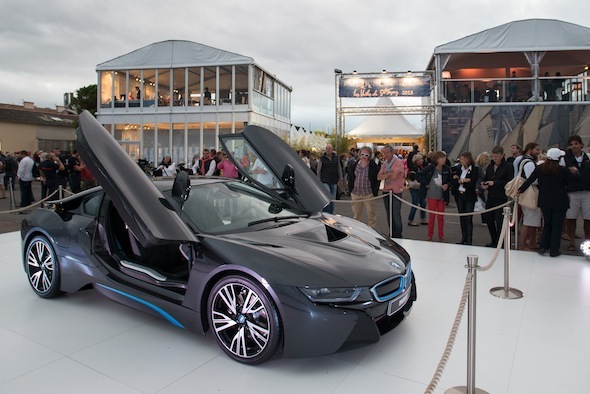 However, BMW has not confirmed exactly how many i8s will be produced in 2014. The BMW i8 is a petrol-electric hybrid, using a 1.5-litre engine mated to powerful electric motors, which give impressive performance. The sleek car, which looks radically different to the Bavarian brand's current line-up, will cover the 0-62mph sprint in 4.4 seconds, yet can manage 113mpg on the official combined fuel-economy cycle. BMW's other electric car, the i3 has also proved a hit, with the waiting list simply for a test drive reportedly stretching five months into the future. The futuristically styled city car will be available as both a purely electric car and a range-extending hybrid, with a conventional combustion engine increasing the range of the on-board battery pack. 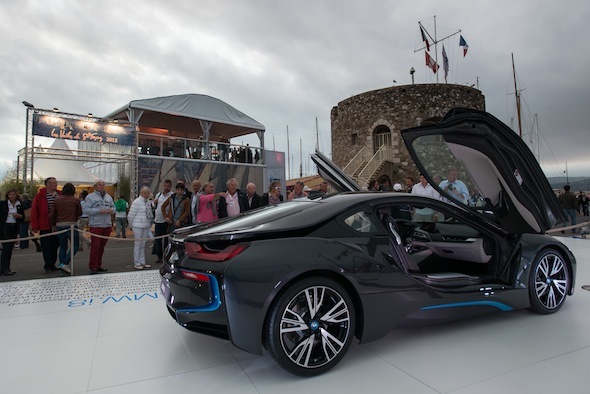 Along with the i8, first deliveries of the i3 are expected in mid 2014.